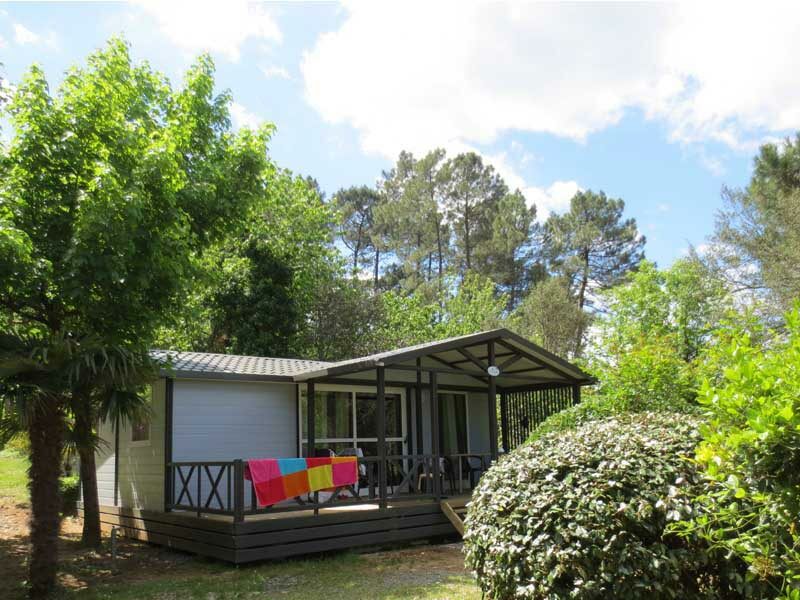 Are you looking for a place to stay in the Gard region - bungalow, mobile home or chalet? 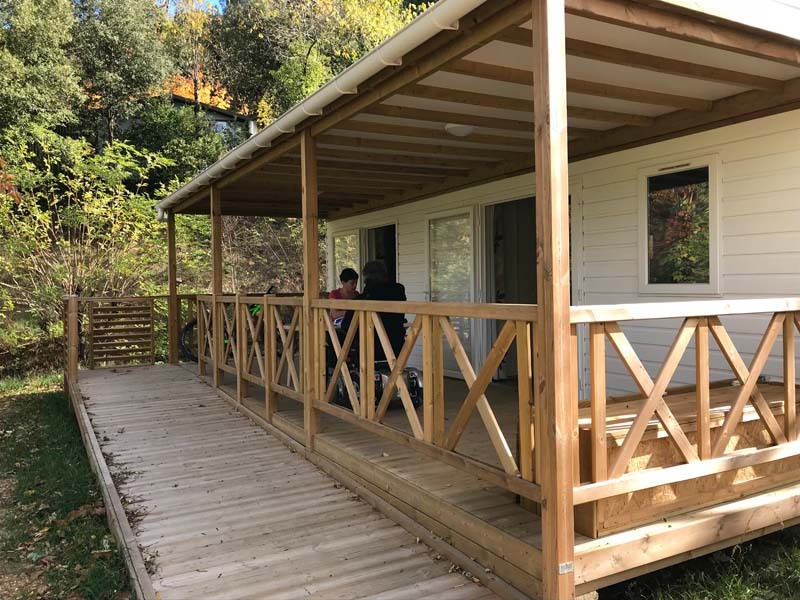 Here at camping Cévennes Provence we only rent out chalets, because we are convinced they match better with the natural surroundings than bungalows or mobile homes. 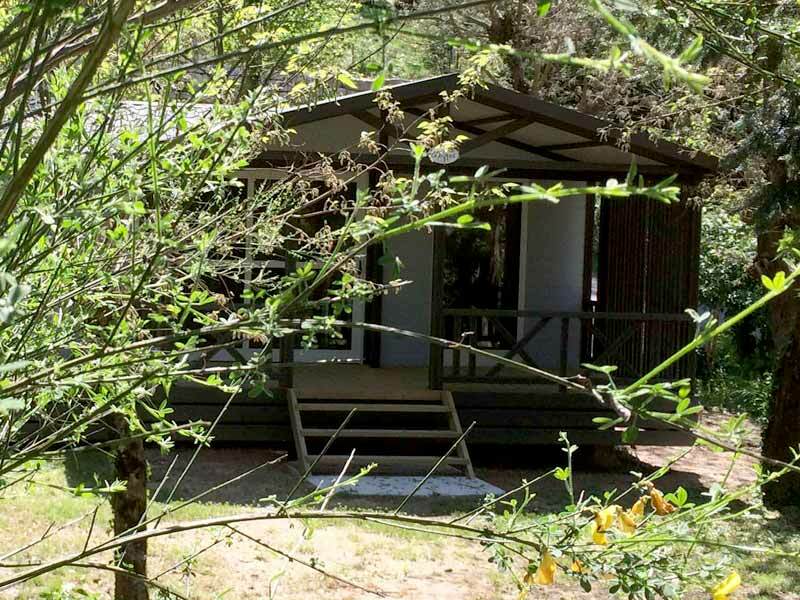 For 60 years it has been our goal to maintain the camping's natural surroundings as intact as possible. 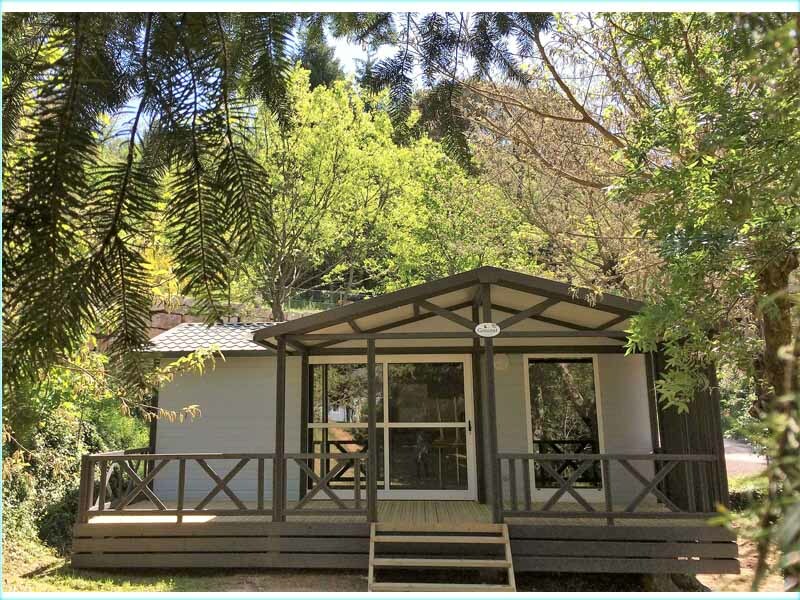 We offer 16 chalets: 11 chalets with 3 bedrooms, 4 chalets with 2 bedrooms and 1 chalet for less mobile guests with 2 bedrooms. 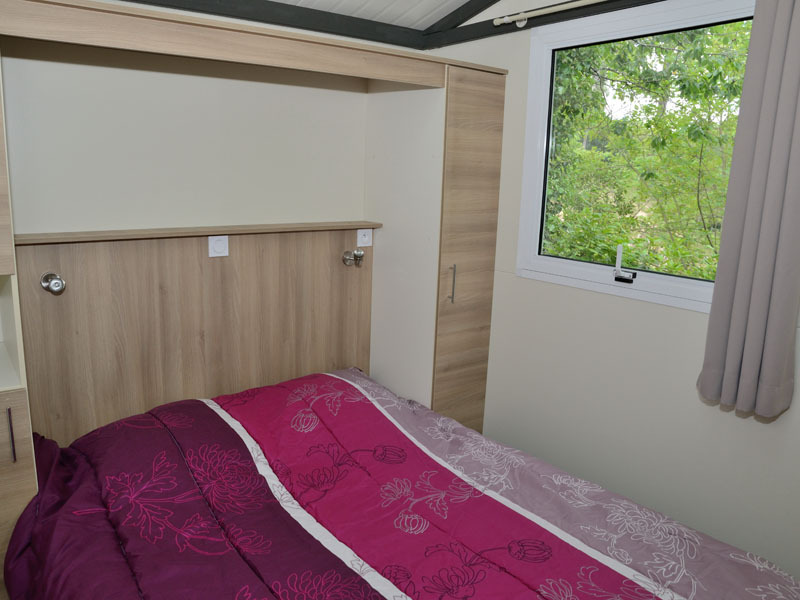 When you choose for a chalet, you will receive comfort, quality and you can travel light. A spacious and roofed terrace will serve as your open-air living room, a comfortable place to spend time with family and friends. 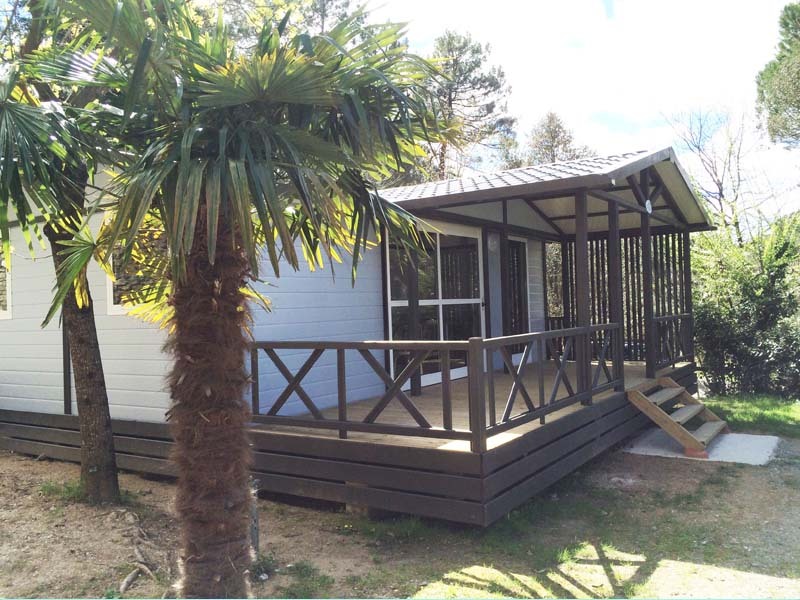 Reservation for chalets is possible from Saturday March 23rd until September 28th. 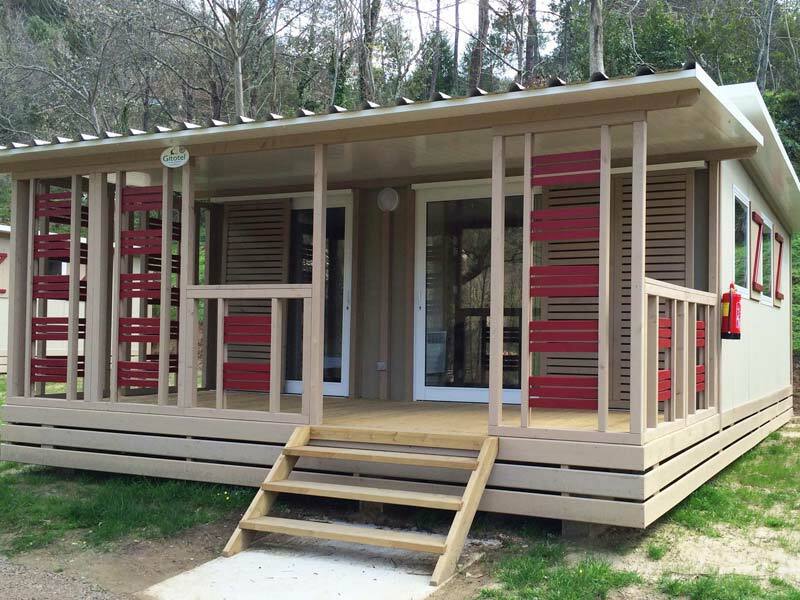 The chalets are equipped with electrical heating, blankets and covers so you can enjoy your stay the entire season. 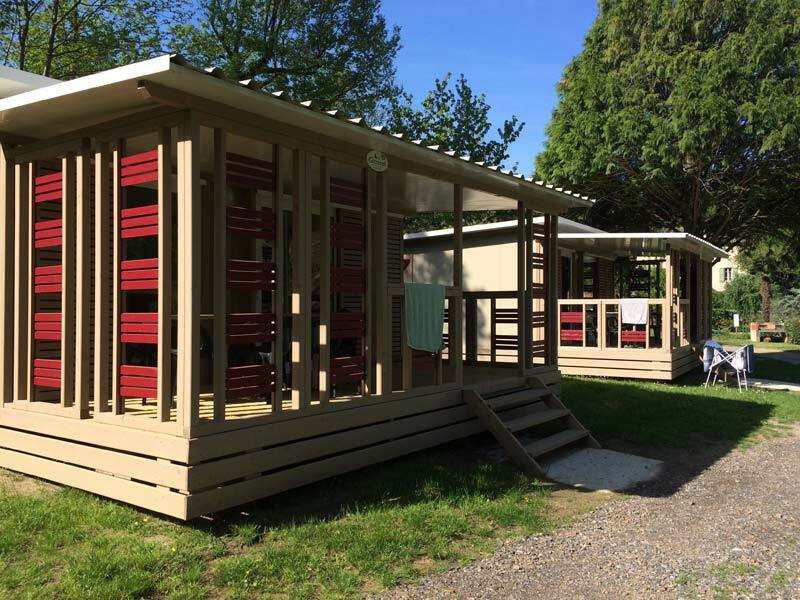 No mobile homes, just chalets! 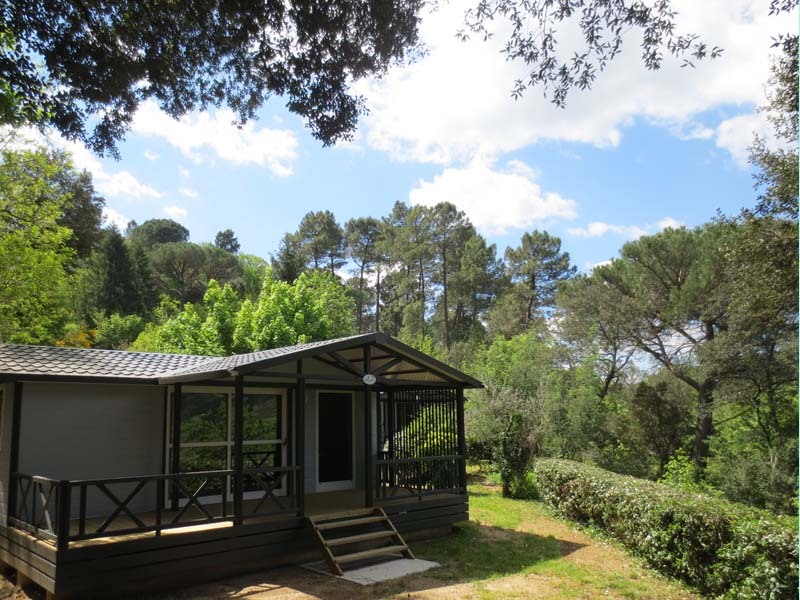 11 chalets with 3 bedrooms and terrace for a maximum of 6 guests. 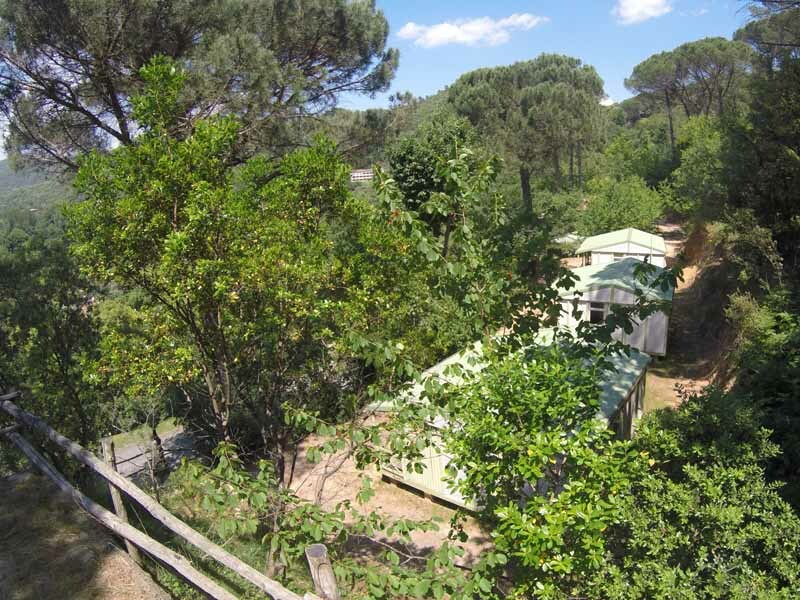 Surface: 54 m2 terrace included. Bedroom parents: 1 bed 160 cm, wardrobe, closet. Bedroom children: 2 beds 80 cm, that can be combined as one bed, closet. Bedroom children: 1 bunk bed 80 cm, closet, wardrobe. 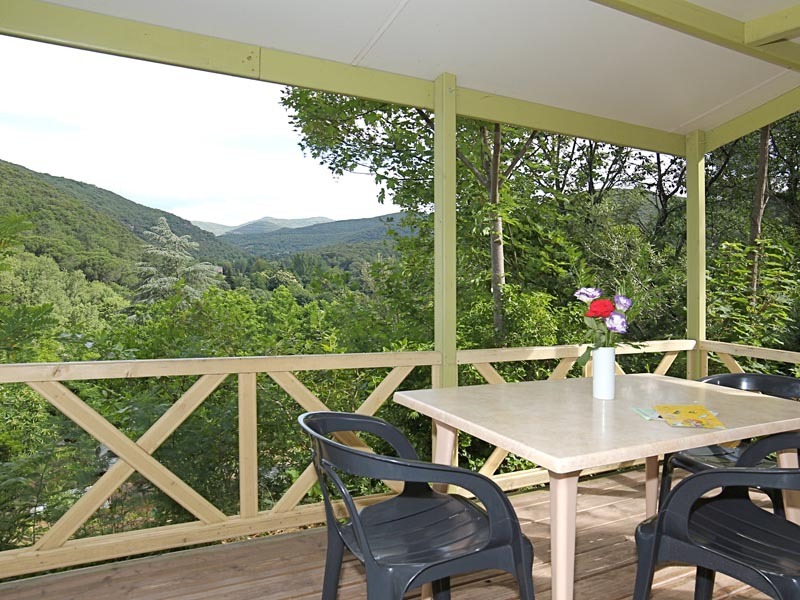 4 chalets with two bedrooms and terrace for a maximum of 5 guests. Surface: 48 m2 terrace included. Bathroom: shower, wash basin, bathroom closet. Bedroom children, 1 bed 120 cm and 1 bed 80 cm, wardrobe, closet. 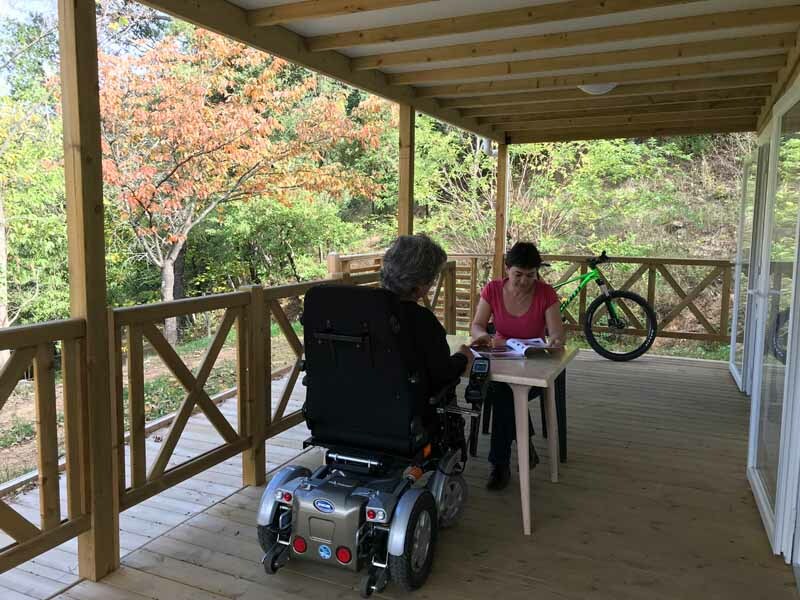 1 chalet accessible for less mobile guests. 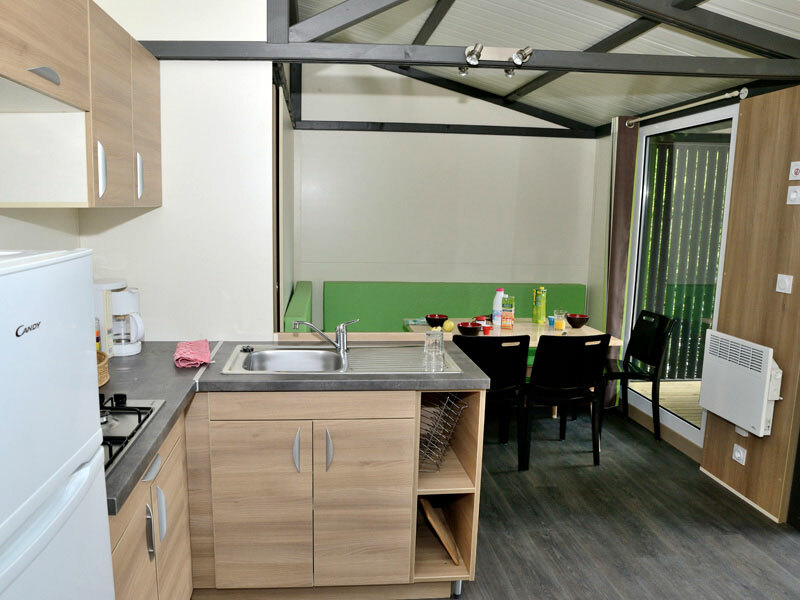 2 bedrooms and terrace for a maximum of 5 guests. Surface 64 m2. 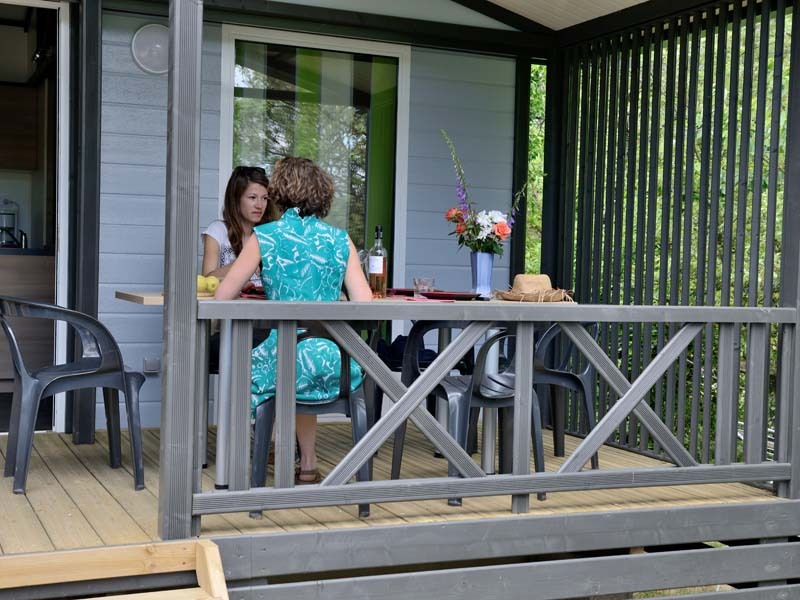 We offer one chalet, specifically aimed at our less mobile guests, even though we haven't yet received our 'Barrierfree tourism' label. 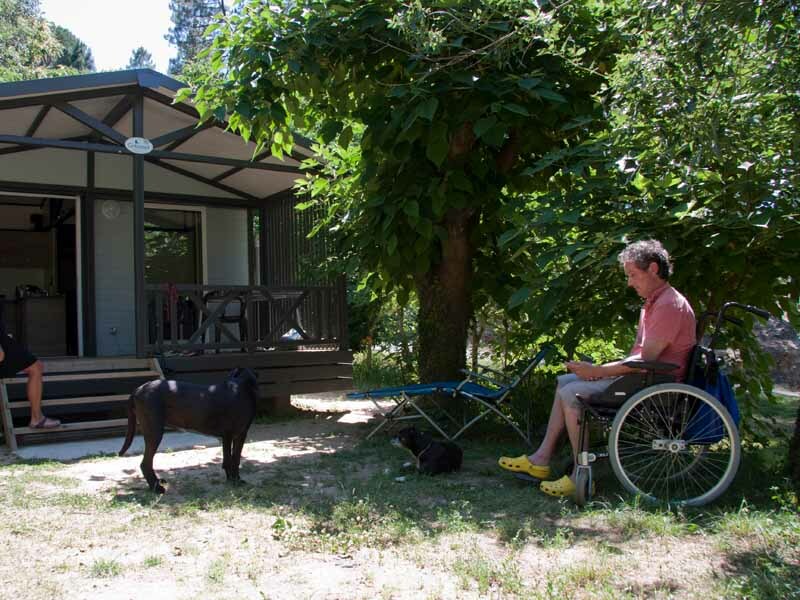 This chalet is equipped with a driving ramp, and inside it is more spacious. 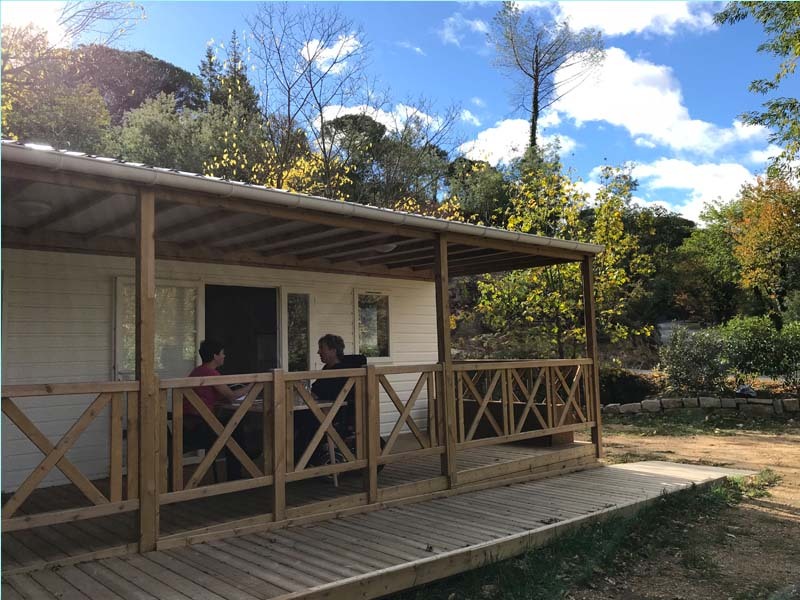 It's close to the camping center and surrounded by nature. 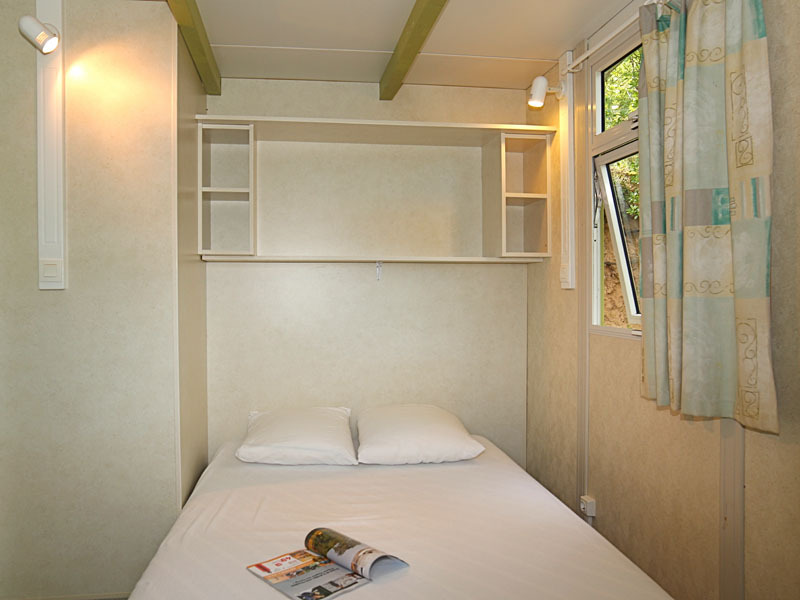 The chalet offers you all the comfort you need to enjoy your holiday with family and friends. 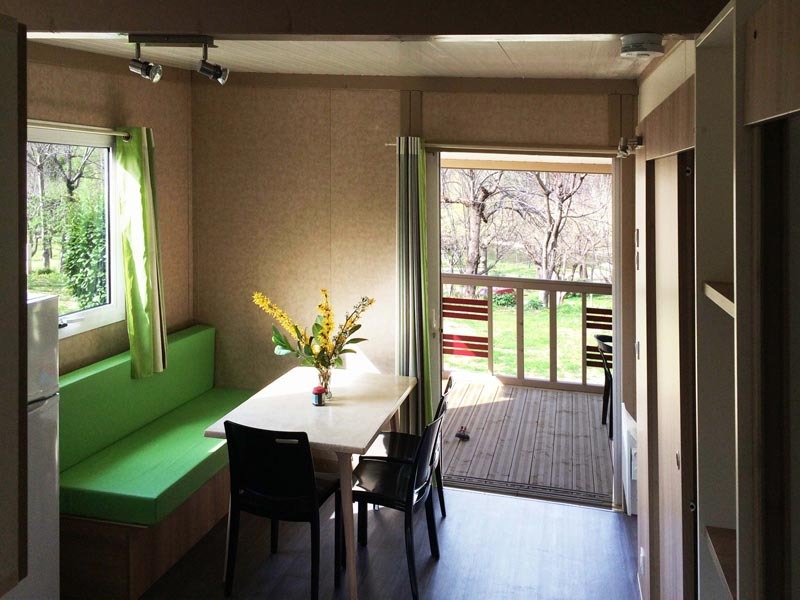 This camping area is the best place to stay with kids. They can run around, go swimming, have fun with mini-golf and tennis (free except July and August) ... The owning family is extremely friendly and always helpful. It is always like coming home! Good shop, friendly staff and a memorable river for wild swimming make this site a pleasure to visit. Anduze and St Jean de Gard are both worth a visit or better still take the steam train between the two and take your bike on the train.